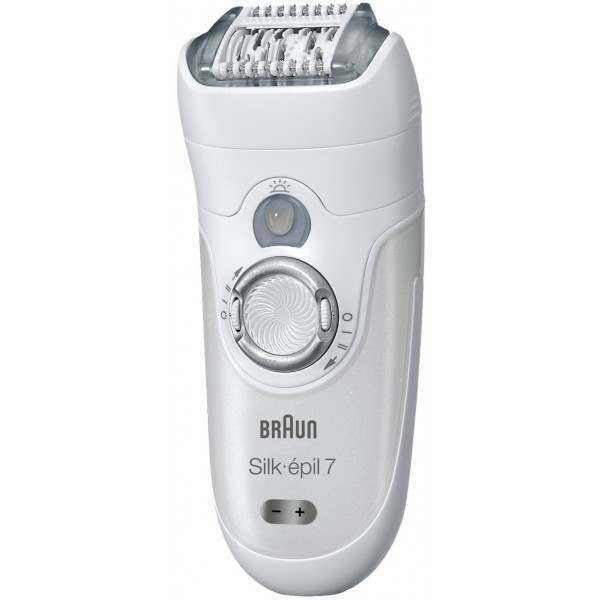 The Silk-épil 7 Wet & Dry epilates even the shortest and finest hairs for lasting smoothness, with Braun’s Close-Grip technology featuring 40 tweezers. 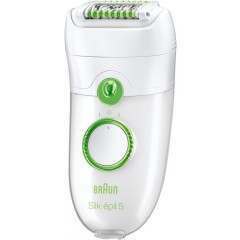 Enjoy a gentle epilation with safe use in warm water - 100% waterproof. Catch every year with the SmartLight guiding you to every fine and short hair. The Silk-épil 7 Wet & Dry epilator removes even the shortest, finest hairs, right down to 0.5mm long. That’s as small as a grain of sand. 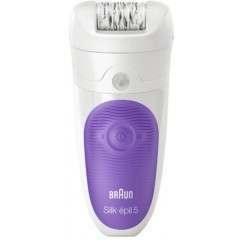 The 40 tweezers in Braun’s Close-Grip technology ensure superior performance and the most thorough hair removal. 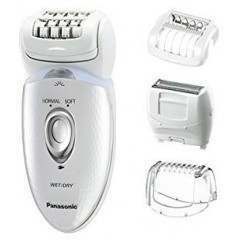 As it’s cordless, it can also be used dry or in the bath or shower for the gentlest epilation. 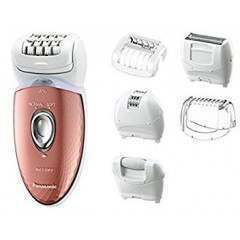 High Frequency Massage System - High frequency massage system stimulates the skin for a more comfortable experience. Pivoting Head - The pivoting head follows every contour of your body for better skin contact and even gentler performance. 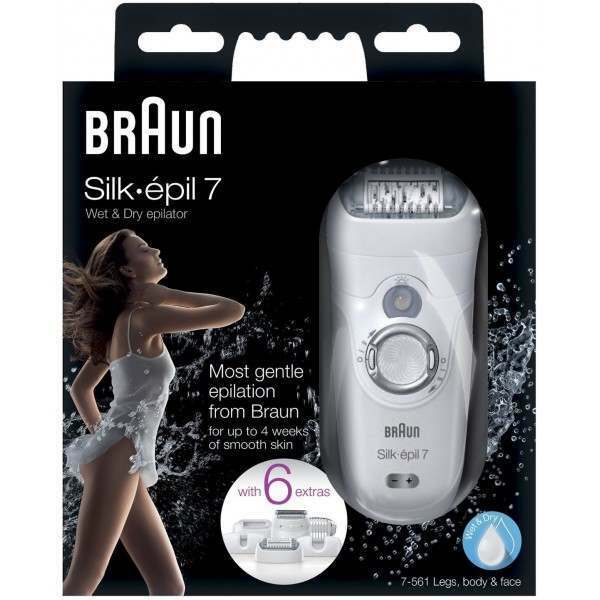 Epilate with the Gentleness of Warm Water - Braun Silk-epil 7 is 100 per cent waterproof. For extra comfort and a soothing epilation experience in warm water you can confidently use it in the bath or in the shower. Catches 4x Shorter Hair than Wax - never wait again for your body hair to grow so that wax can catch it. 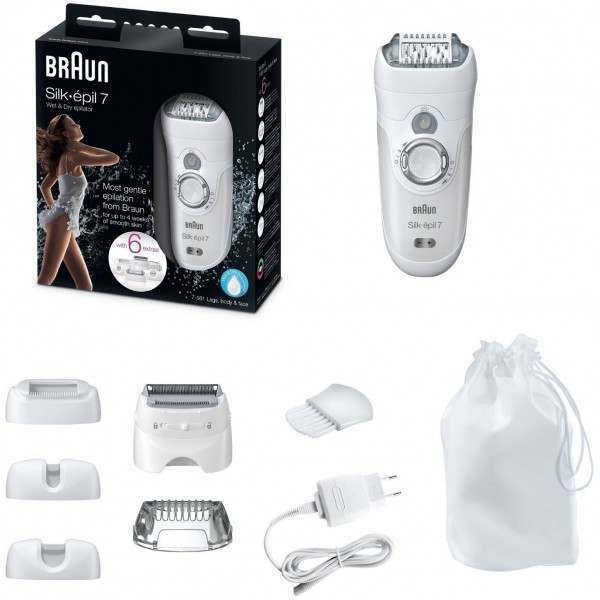 Braun close-grip technology catches hair as small as a grain of sand (0.5 mm). No more in-between days, no more hassle. What are the benefits of epilation vs. other methods? With epilation, you can enjoy smooth skin that lasts up to 4 weeks. 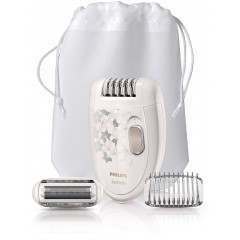 Unlike other hair removal methods, such as razors and shaving creams, epilation removes even the finest, shortest hairs from the root which then take 4-6 weeks to grow back. Additionally, with epilators you can remove hair 4x shorter than wax so you don’t have to wait for the hair to be completely visible. 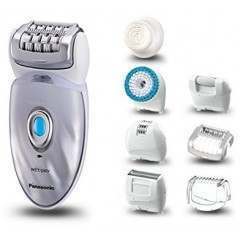 Moreover, you can use epilators across all of your body parts – underarms, bikini line, face, arms and legs all in the comfort of your own home. I have never epilated before – is epilation painful? Silk-epil epilators have been especially developed to minimize any discomfort and irritation, making them the perfect choice for first-time users. Their active massage rollers softly stimulate the skin with micro-pulsations before and after removing the hair, leaving your skin more relaxed. Being able to use the product in water and on wet skin is especially gentle as the warm water improves your micro-circulation, stimulates the production of pain-reducing substances and reduces skin sensitivity helping to relax and sooth the skin, reducing any slight discomfort and skin irritation. This was confirmed by a study conducted by the German dermatologist Dr. med. Petra Staubach at the University of Mainz, where the majority of participants felt no or only a slight tugging sensation when using the epilator in wet conditions. If you are inexperienced, you may still feel a little discomfort during your first epilating sessions. 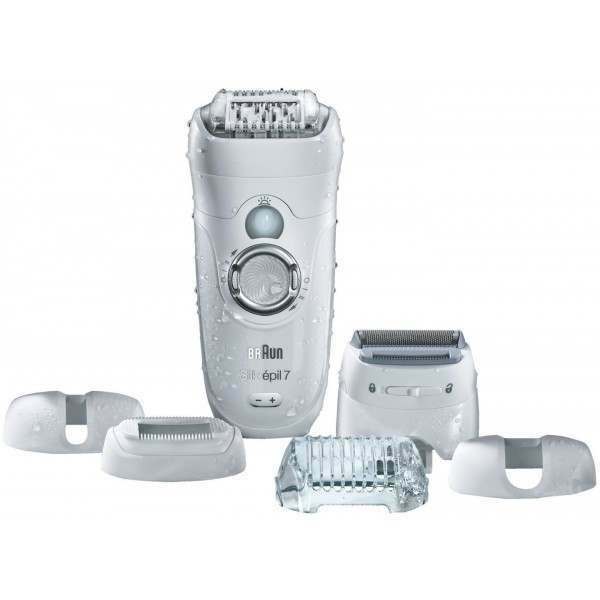 With regular use, epilation will become virtually painless as the skin adjusts to the process and the individual hairs grow back at different speeds, so that there is less hair to remove after the first epilation.